Located in the Iqbal Park of Lahore, Minar-e-Pakistan is one of the most significant monuments in the country. Since it was built to commemorate the Lahore Resolution (March 23, 1940), the first official call to create a separate homeland for the Muslims of South Asia, according to the two-nation theory. 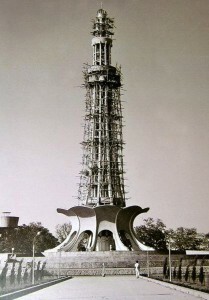 The construction of the minar commenced on March 23, 1960 when the foundation stone was laid down on the site where the historic resolution was passed by All-India Muslim League. 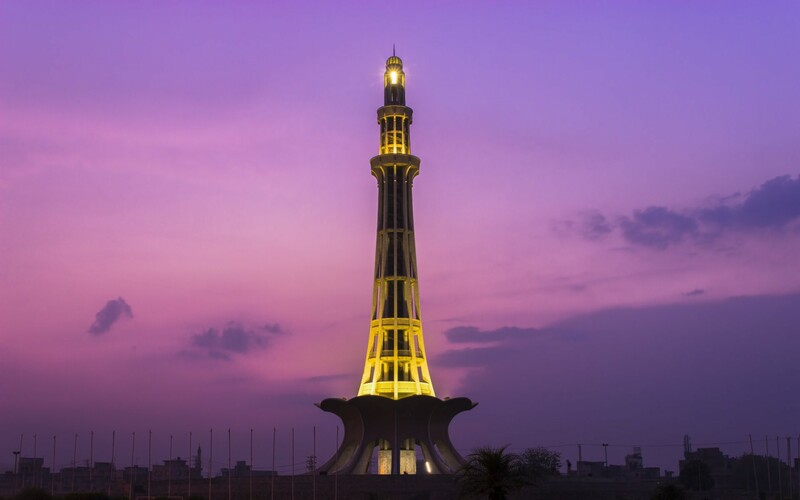 However, it took eight years to construct the Minaret of Pakistan as it was completed on October 31, 1968. 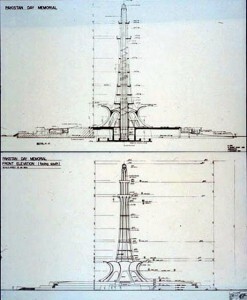 Cost incurred on the construction of Minar-e-Pakistan is estimated at Rs 7,058,000. The construction cost of the minaret was raised by imposing an extra tax on cinema and horse racing tickets. 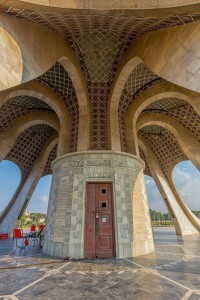 Minar was built with reinforced concrete, while the walls and floors rendered in marble and stone. First platform of the building was constructed with uncut Taxila stones and signifies the start of freedom struggle. Second rostrum of the structure is made of hammer-dressed stones. Third platform is embellished with chiseled stones. The fourth rostrum is built with marbles and depicts the success of Freedom Movement. 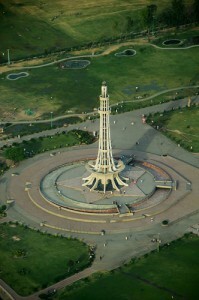 The beautiful design of Minar-e-Pakistan is a mix of Islamic, Mughal and contemporary architecture. The captivating design was the brainchild of Nasreddin Murat-Khan, a qualified engineer and architect from Daghistan, whilst the construction was done by Mian Abdul Khaliq and Company. Today, visitors enjoy panoramic views of the city from the top of the minaret by accessing the highest platform through elevator or stairs. The base of the historic memorial is raised approximately 8 meters high from the ground. The tower rises up approximately 62 meters on the base that has a 5-point star shape and transforms into unfolding petals of flower on the rise. The overall height of the tower is 70 meters while its diameter is close to 9.75 meters. 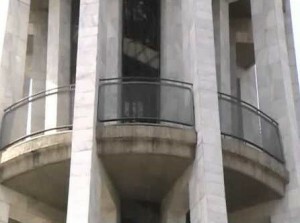 Apart from the lift, the memorial has 324 stairs which leads to the top. The first balcony is at 30 feet and second at 50. A separate Chabootra can be seen about 12 feet away from the minar along with the resting place of Pakistan’s national anthem writer, Hafeez Jalandhari. In the early days, the minar was named Yadgar-e-Pakistan, but later it was renamed as Minar-e-Pakistan. Concrete and steel is used from base to about 181 feet height whereas the top portion of the tower is built with stainless steel to evade corrosion. For the lower portion, coarse marble is used to indicate the initial rough days of the movement, while smooth marble is used on the walls and upper portion of the minar to depict gradual development and prosperity. The base of the minar has ten marble slabs all around it. Each slab is seven feet tall and two feet wide, with 99 names of Allah written on them. Other inscriptions include National Anthem of Pakistan in Urdu and Bengali, excerpts from Muhammad Ali Jinnah’s speeches and a few couplets of Dr Allama Iqbal. 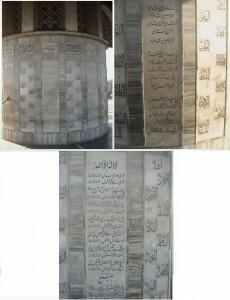 Some Quranic verses from Surah Ra’ad, Surah Myedah, Surah Baqarah and Surah Al e Imran are also carved on these slabs. The main entrance of the tower bear inscriptions like Allah O Akbar and Minar-e-Pakistan.